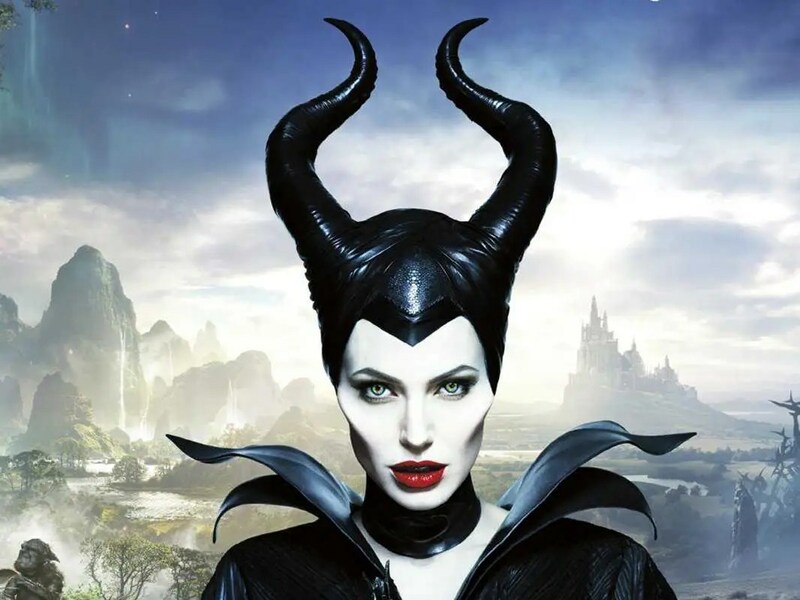 Maleficent: A Film Review – Is this why I'm still single? Last night I had the opportunity to attend an early screening of the soon to be Disney blockbuster Maleficent. While the film boasted impressive visuals (an entertaining IMAX experience) and a committed performance from Jolie, the film’s bland origin story and underdeveloped characters made a dud of the elegant mistress of all evil. In the original film, Maleficent is a dark fairy with no past. It appears that her evilness is something innate and not a result of a traumatic past or betrayal. In this origin story, we finally see how Maleficent became the evil character we all have come to love- and boy was it disappointing. It seems Disney’s formula for making villains is by subjecting them to betrayal by men. In fact Maleficent’s backstory is identical to that of the Wicked Witch of the West’s in “Oz the Great and Powerful”. Both women are both powerful but naive and possess impressive magic abilities. And both women fall in love with a man who deceives them which causes their transformations. I will give this film a bit more credit and say Maleficent’s anger is more justified than that of Theodora’s in “Oz”. The film spends quite a bit of time setting up this origin story and through insufferable narration we finally find ourselves at the place where Sleeping Beauty starts. Jolie shows up in classic Maleficent garb and it’s a delight watching her torment the king and curse infant Aurora. After that the film goes downhill for the most part. Maleficent’s human side becomes increasingly present and you grow to like her, which is good but bad at the same time. Trailers for the film emphasized Maleficent’s beautiful wickedness but in the film Maleficent is rather benevolent and benign. In fact, she raises Aurora essentially because her fairies (who are entirely underdeveloped as characters) are too dumb to do so. Without giving away many spoilers, I will say that from here the movie tells a completely different story. It becomes increasingly clear that this isn’t an origin story, in fact it’s difference from the original is quite similar to the differences between Spider-Man and the Amazing Spider-Man. Jolie does her best to carry the story and she is entertaining as ever, but the other characters (with the exception of her shape shifting Raven) fall completely flat. Elle Fanning is an underdeveloped bore as Aurora and her accent is atrocious. Brenton Thwaites as Prince Phillip is cute but mostly absent and the film’s villain King Stefan is so one dimensional it almost destroys the movie. And it’s sad to say that the fairies are more developed in the 60 minute animated film than they are in this live action affair….even with Dolores Umbridge on the team. The fantastical world of Maleficent is almost too familiar- looking just like Oz and Wonderland. The CGI is good for the most part, but some characters are clearly animated. There is a lot of visual clutter in the film and some of the better scenes are the ones that focus on acting rather than budget. It’s a shame that Maleficent as a film fails to really add anything to the Disney canon. In fact, most Disney live action films are pathetic in comparison to their animated affairs. Whether or not this film is good though is mostly irrelevant- it’s sure to be a box office success and given it’s aggressive marketing campaign and advertising it deserves to be. It’s nice to see Jolie again, it’s just unfortunate that she wasn’t given the freedom to make Maleficent a villain worth remembering.